In a large pot place selected Lima beans, cover with two inches of water, bring to boil and boil 5 – 7 minutes. Turn off heat and allow Lima beans to stand 1 – 3 hours soaking (or pre-soak beans overnight). Rinse Lima beans in colander and return to large pot. Over medium-high heat warm EVOO, add and saute the onion, bell peppers, 1 tbsp Tastefully Simple Garlic Garlic, 1 tbps Tastefully Simple Garlic/Paprika, three dried red peppers, 1 tsp salt, 1 tsp pepper, ½ tbsp New Mexico red chili powder, 1 tsp ground cumin until seasonings are well mixed into pepper mixture and the onion is clear. Add onion/pepper mixture to the Lima beans in large pot. 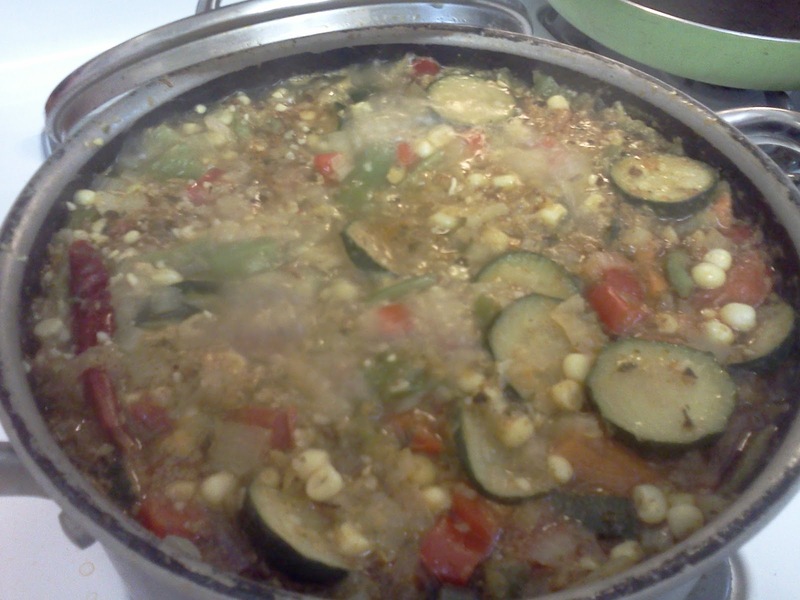 Add the zucchini, carrots, celery and corn to the pot. Add water to cover all ingredients by at least 1 – 2 inches. Add additional salt/pepper for taste if needed. Bring to boil all these ingredients and then simmer pot until Lima beans are tender. Once Lima beans are tender add can of tomato paste to pot and mix in well, add diced tomatoes to pot, add liquid to bring back to one inch over top of ingredients in the pot. Add 5 pinches of whole cumin seed to pot, add a dime size amount of salt/pepper from the palm of your hand to the mixture, top off with about ½ tbsp more Tastefully Simple Wahoo Chili Seasoning (more ground NM chili pepper and paprika if not using the seasoning). On high heat bring these to another boil and the place on simmer for another 20 – 30 minutes. 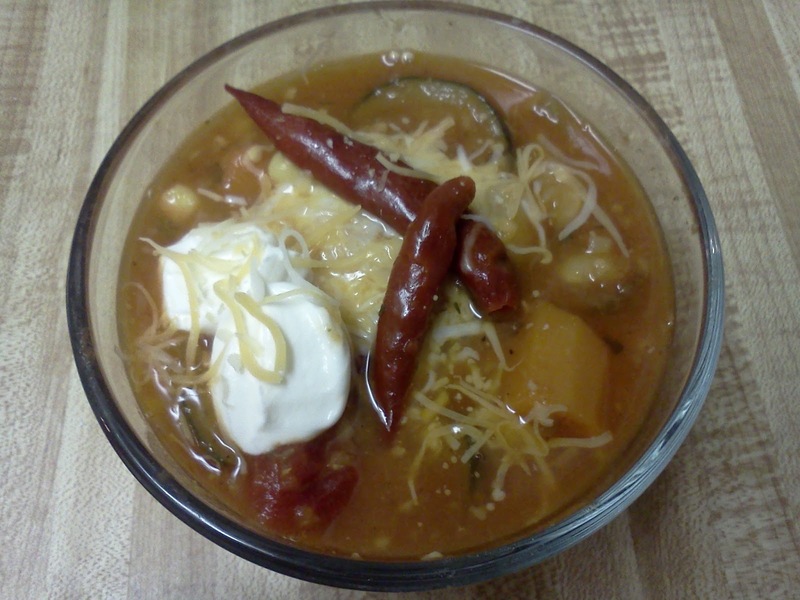 Serve hot with corn tortillas, Mexican-style cheese and sour cream.